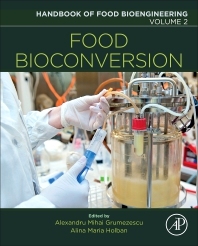 Food Bioconversion, Volume Two in the Handbook of Food Bioengineering series is an interdisciplinary resource of fundamental information on waste recovery and biomaterials under certain environmental conditions. The book provides information on how living organisms can be used to transform waste into compounds that can be used in food, and how specialized living cells in plants, animals and water can convert the most polluting agents into useful non-toxic products in a sustainable way. This great reference on the bioconversion of industrial waste is ideal in a time when food resources are limited and entire communities starve.